[V irtual reality still has a (long?) way to come before becoming a truly mainstream technology. But there’s a lot of fascinating innovations – and problems to solve. 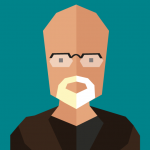 This will be the second edition of VRDC, following the strikingly successful debut of VRDC as a sibling conference to GDC 2016 earlier this year. Bringing an expanded focus overseen by a new advisory board, the two‐day event will bring together VR/AR experts from multiple industries to share best practices, demo new technology, create new business partnerships, and exchange ideas with innovators shaping the industry. 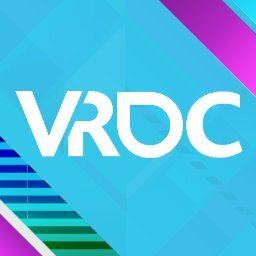 To meet the growing demand for high‐quality content in the space, VRDC’s second edition will expand to cover virtual and augmented reality in games, entertainment, and beyond into subjects such as healthcare, journalism, travel, manufacturing, retail, live events, real estate, training, so much more. The first confirmed VRDC sessions are from NASA’s Francisco Delgado, discussing ‘Hybrid Reality: A New Paradigm for Astronaut Training’, and The Farm 51’s Wojciech Pazdur on The Chernobyl Project, a unique VR virtual tour using photogrammetry & drones to document and map the aftermath of the world’s worst nuclear disaster. And of course, the new and improved VRDC will include a vendor area showcasing the latest demonstrations, innovations and advances in virtual reality. If you’re interested in exhibiting at the show, you can learn more about doing so at UBM Game Network’s new VRDC event page. VRDC 2016 will take place November 2-3 at the Park Central Hotel in San Francisco. For more information on VRDC 2016, visit the show’s official website and subscribe to regular updates via Twitter and Facebook.